Mark Cuban is an American businessman, investor, and owner of the NBA's Dallas Mavericks, Landmark Theatres, and Magnolia Pictures, and the chairman of the HDTV cable network AXS TV. He is also a "shark" investor on the television series Shark Tank. 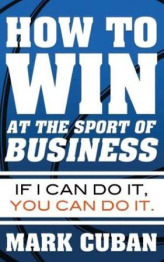 In 2011, Cuban wrote an e-book, How to Win at the Sport of Business, in which he chronicles his life experiences in business and sports. 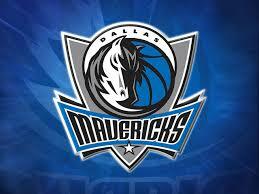 Visit Blog Maverick, the Mark Cuban weblog. No stakeholder is willing to take less. Which is why it will be near impossible to “fix Obamacare” in a way that makes consumers (also known as voters), insurers, and healthcare providers happy. Its time to rethink how we spend a big chunk of that money. I would take 100 billion of the proposed $ 1 Trillion dollars in infrastructure investment and invest it in Robotics. Apple must win the current case against the FBI. There is a near zero chance that the code created by Apple to break into their phones can stay private under current laws. Why not let the government monitor what we say or do? What do we have to hide? Apple refused to comply with an FBI order to unlock the iPhone of one of the San Bernardino shooters. Tim Cook said the order was tantamount to ‘hacking’ its own customers. Here's my take. Mark Cuban, Dallas "Mavericks" owner and entrepreneur, is on CBNC to talk about President Trump's management style and why some of his decisions seem rushed. Video length 00:05:22. President Elect Trump won not because the media failed at their job or didn’t recognize something. Donald Trump won precisely because the MSM did their job exactly as they expected they would and they used it to their advantage. One of the challenges of doing so many interviews is that I am asked different versions of the same questions over and over again. For the first time in a long time I can say I was actually asked unique questions that put a smile on my face. Is This A Proposal From 1995 Or 2015 ? Since 2015 marks the 20th Anniversary year of streaming, i thought it would be fun for you to see that our proposals from back then aren't a whole lot different from what we see in proposals today. The technology has improved. Mark Cuban shares his wealth of experience and business savvy in his first published book, How to Win at the Sport of Business. One of the world's wealthiest entrepreneurs, Mark Cuban has collected and updated the greatest material from his popular blog, "blog maverick," to provide a handbook of insider knowledge on what it takes to become a thriving entrepreneur. Cuban's story is a stunning tale of rags-to-riches, as he went from selling powdered milk and sleeping on friends couches to owning his own company and becoming a multi-billion dollar success story. Cuban's business tips will be inspirational to entrepreneurs at any stage of their careers. His ideas may be unconventional, but Cuban shares why and how they've worked for him and will work for you, too.